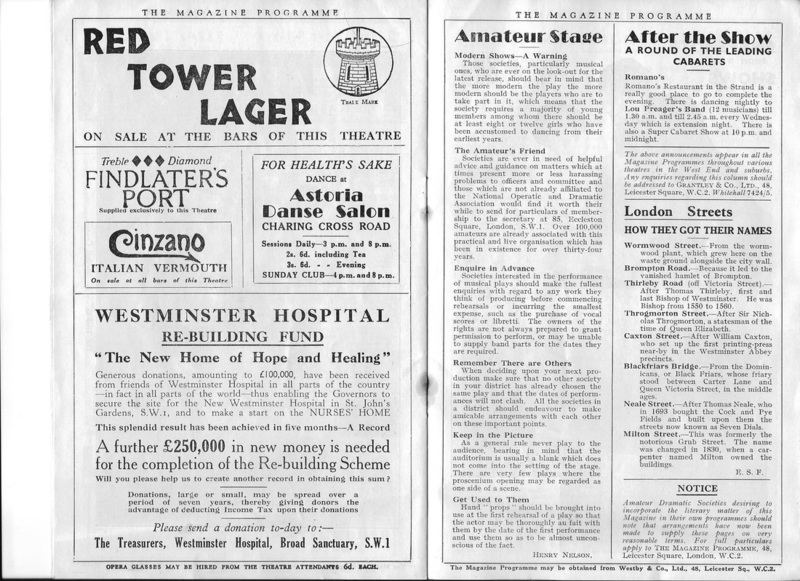 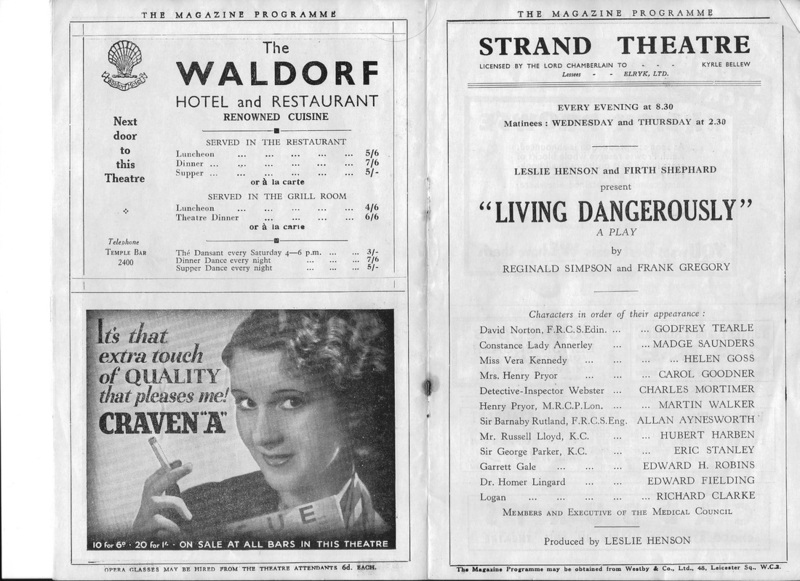 Charles Mortimer played D.I.Webster in "Living Dangerously", at the Strand Theatre, London, from 7 June to 15 September 1934, before transferring to the Piccadilly Theatre, from 24 September to 8 December 1934..
From The Stage Thursday 31 May 1934. 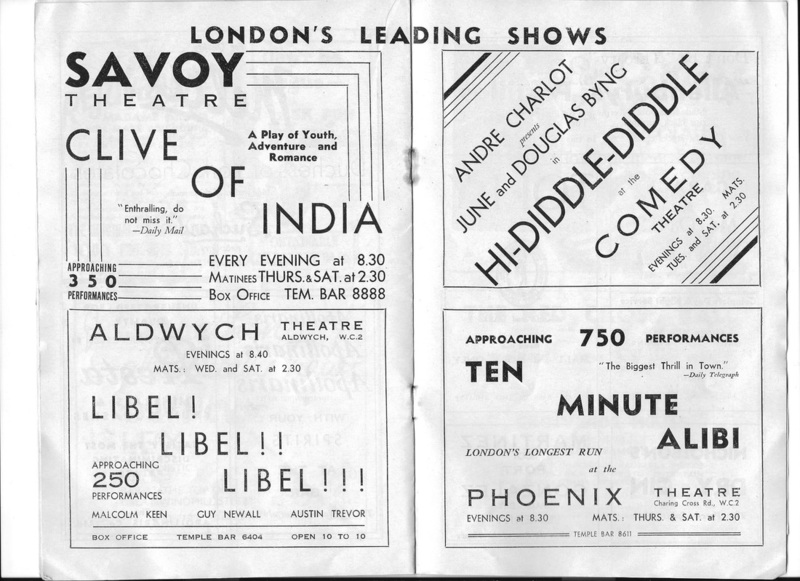 From The Stage of 14 June, 1934. 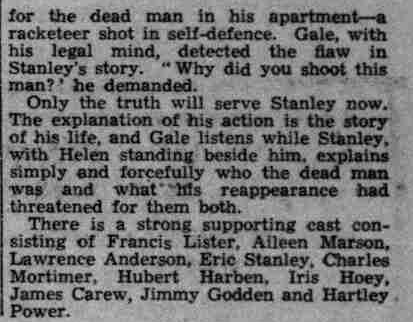 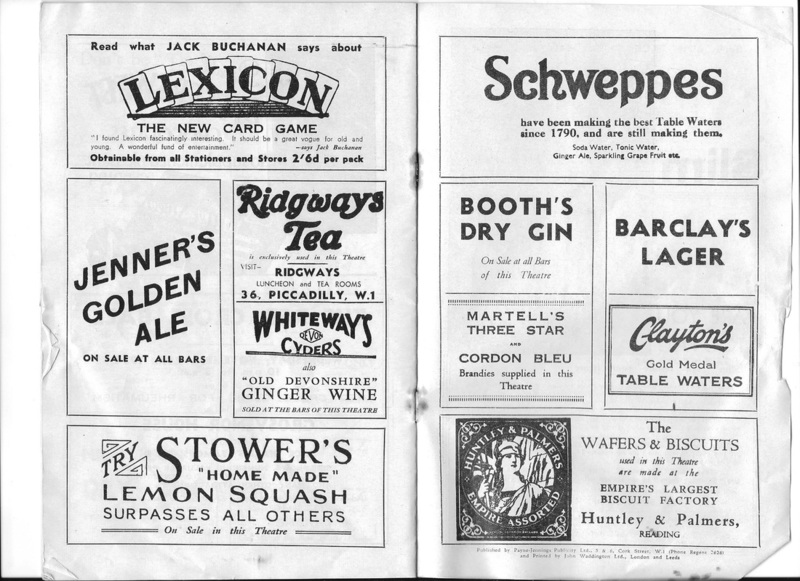 Taken from the Whitstable Times and Tankerton Press, 5 September, 1934. 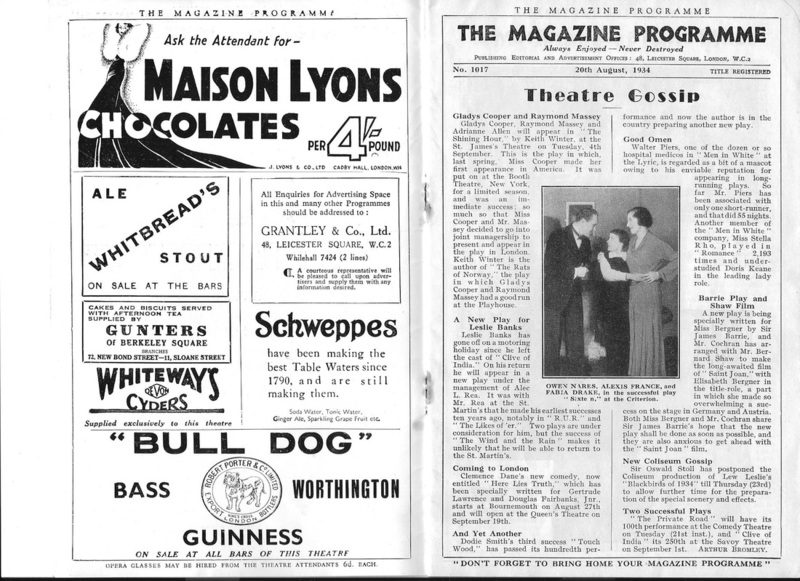 From The Era 17 June 1934. 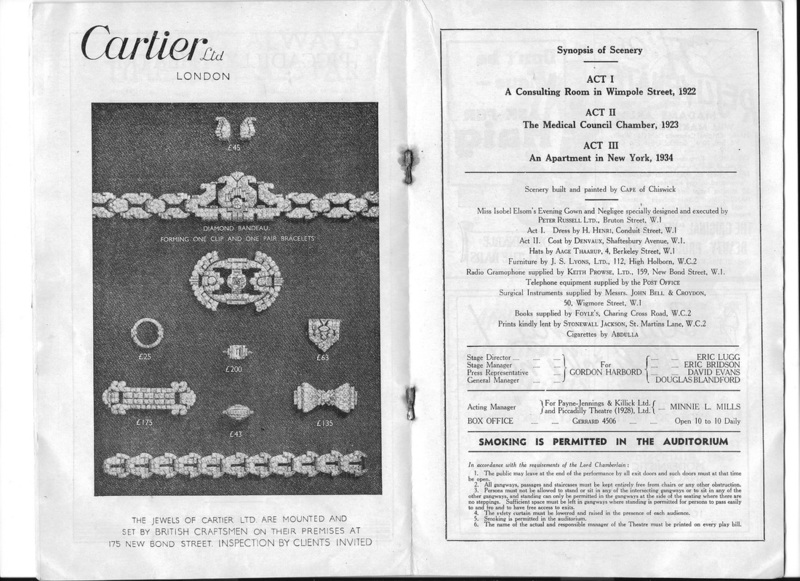 The Medical Council were not, I understand, too pleased at having themselves represented on the stage though they should thank their stars it is for the first time. 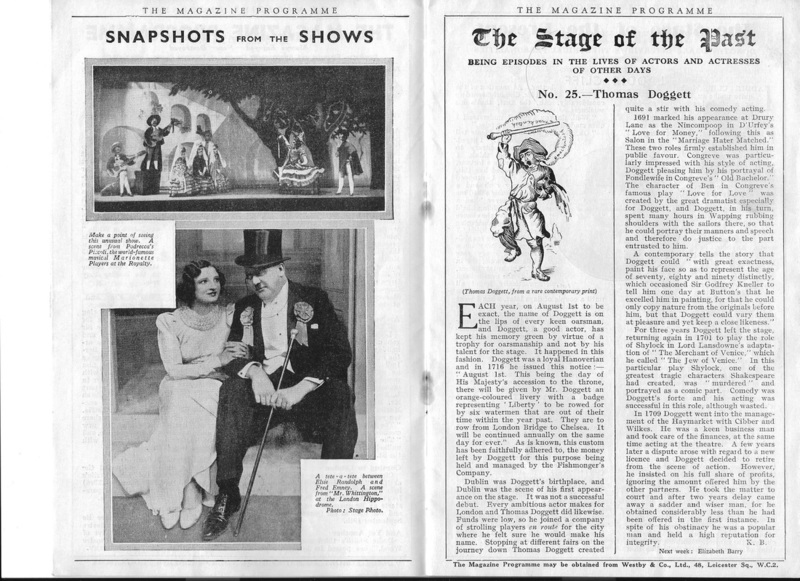 With dialogue as taut as a fiddle string, and a full quota of gentleman-crook strong action, Reginald Simpson and Frank Gregory’s play kept the first-night audience braced and on their toes, should be able to repeat the action for some time. . A good thing to live dangerously, says Dr. David Norton, and in steps a former partner of his to make eat his words. 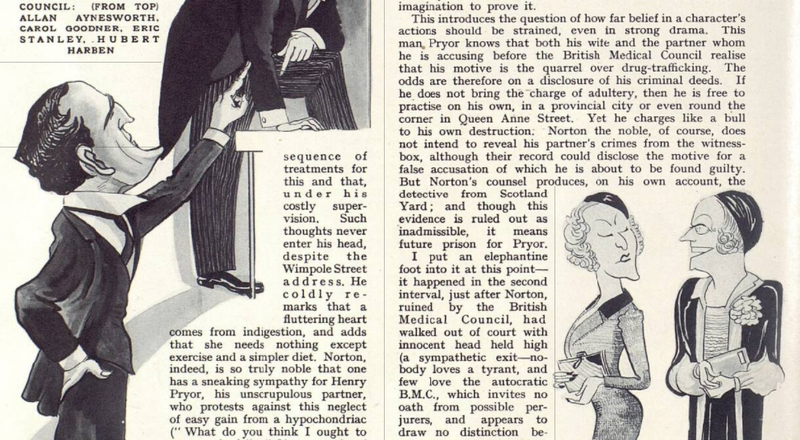 Years ago in London the innocent Norton was deregistered by the Medical Council for alleged adultery with a patient—who happened to be the partner, Pryor's, wife. 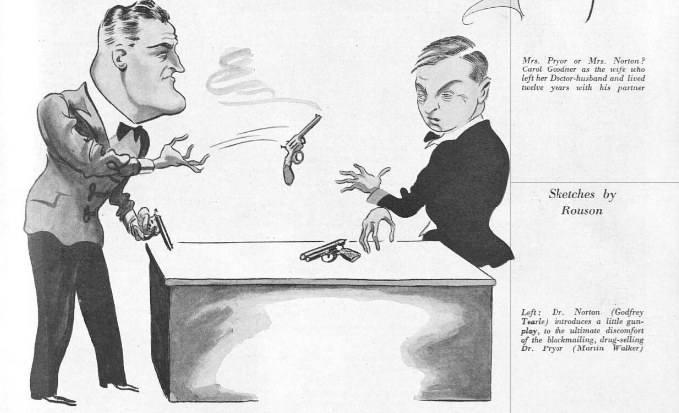 Pryor ruined Norton then —except that Norton discovered his love for the wife, and took her to New York as his wife —and now Pryor has come back to ruin him again. 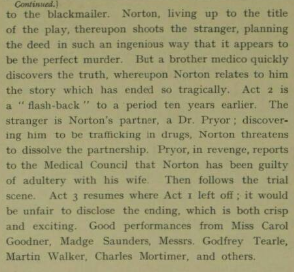 Norton shoots the blackmailer —by a clever trick and then confides to a friend the earlier story which we now see in a flashback. 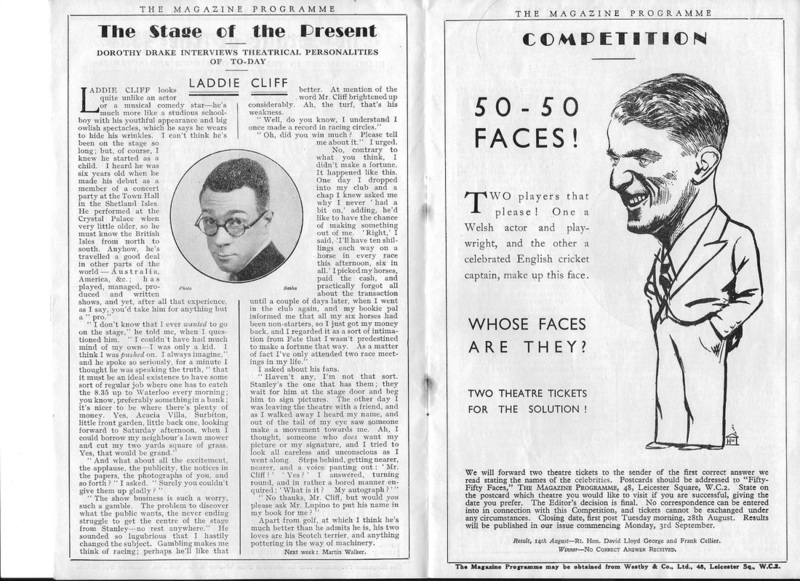 From The Western News 11 June, 1934. 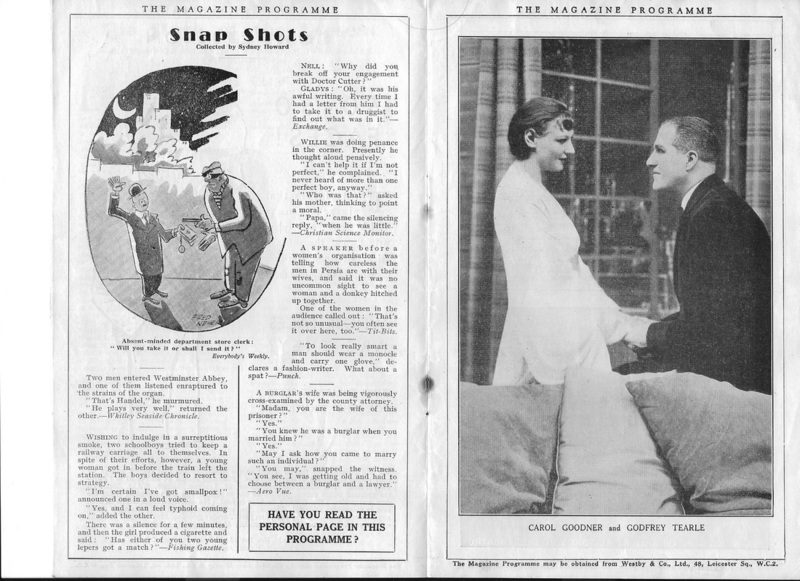 Two plays launched London last week provide an interesting comparison the public taste—or rather they would if one could predict the degree of success of each. 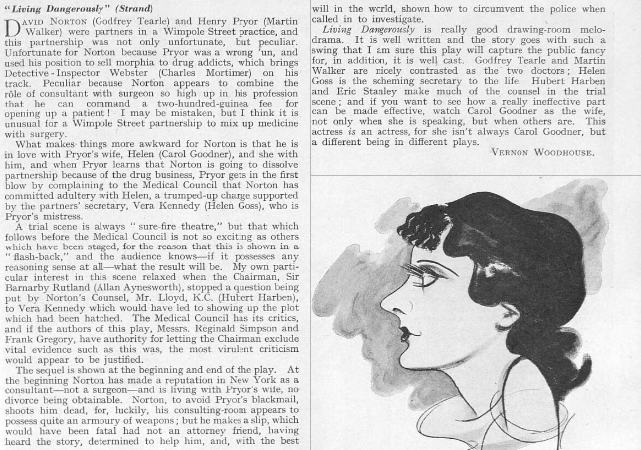 One, "Queen of Scots", by the author of "Richard of Bordeaux," is high order intellectually; the other, "Living Dangerously," has no such claims. 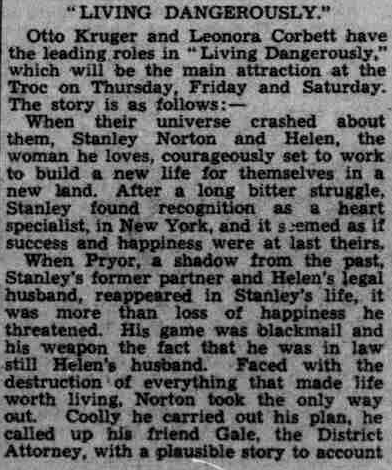 I dare prophesy that the former—at the New—will outlive the latter—at the Strand. 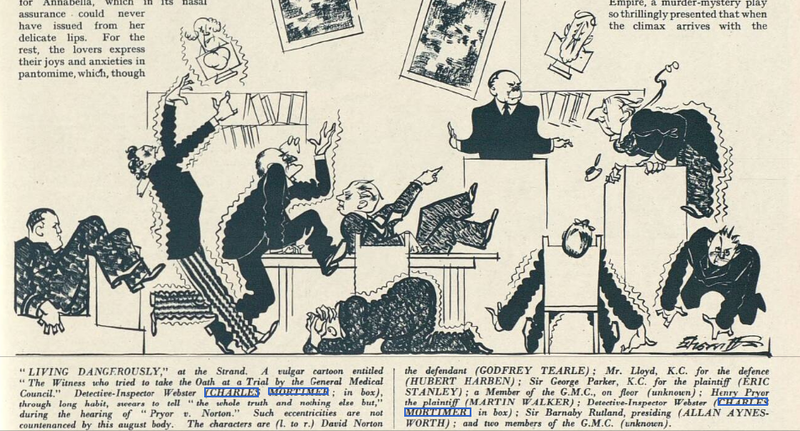 I make apologies for the antithesis, other things being equal. 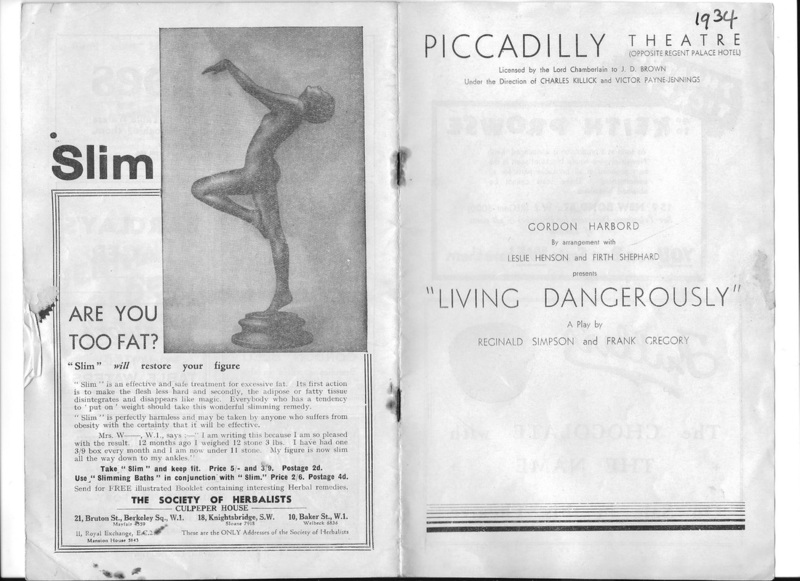 Theatre-goers do not want to exercise their minds in the theatre. 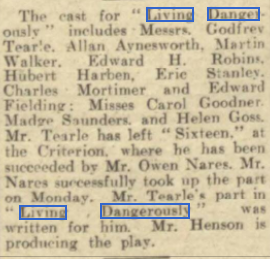 But ' Queen of Scots" has the prestige of its author, Gordon Daviot," to help it, whereas Living Dangerously has no adventitious advantages and more important—the former brilliantly acted, and the latter, though competent in every way, gives far less scope to its cast. 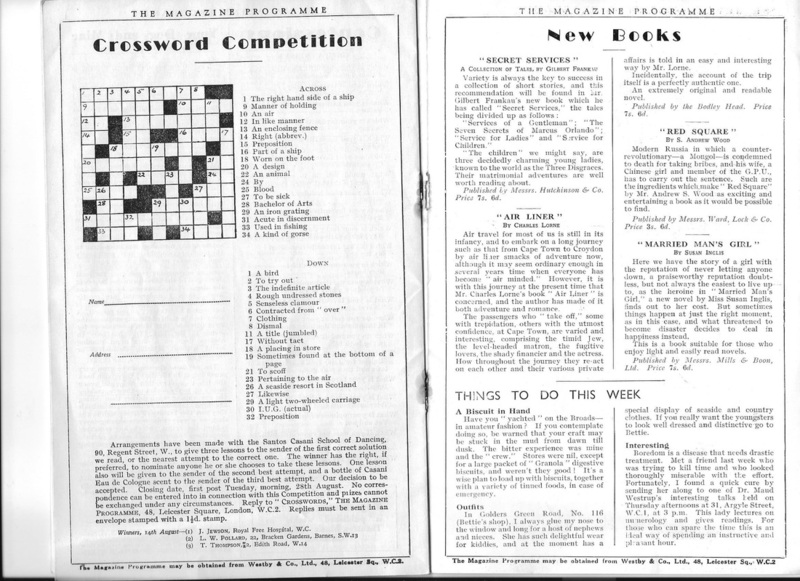 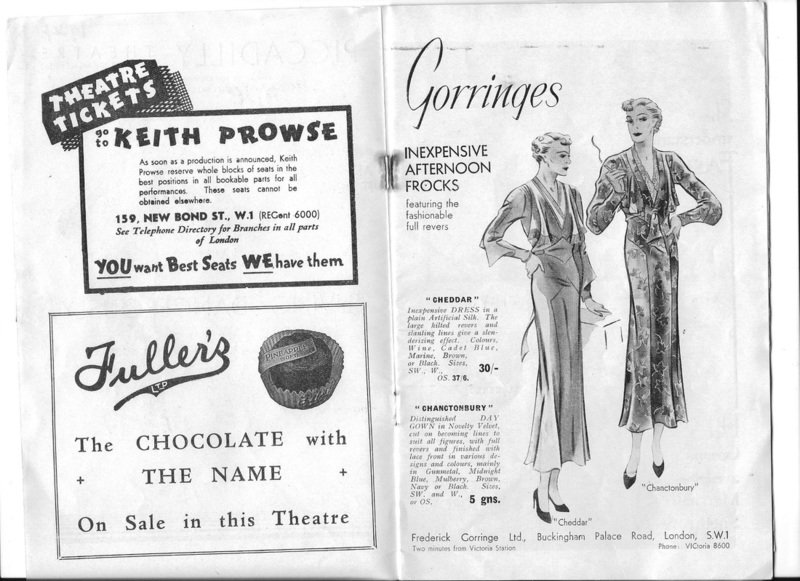 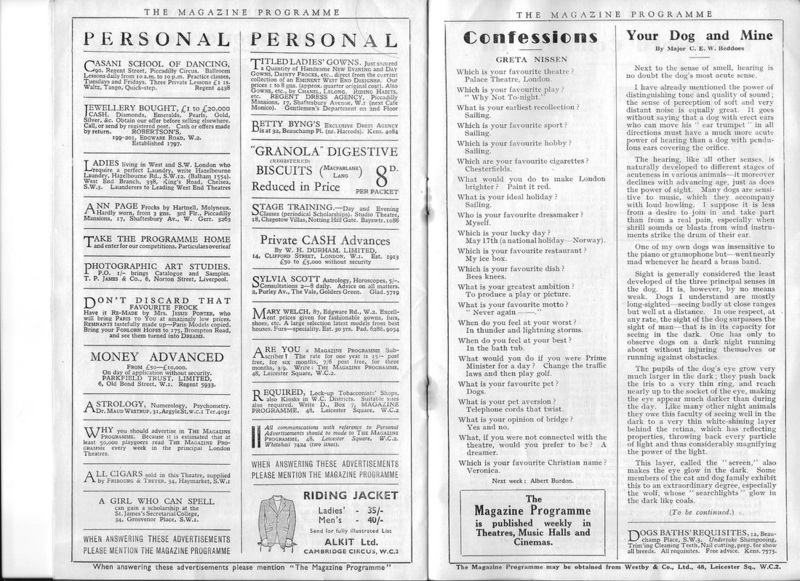 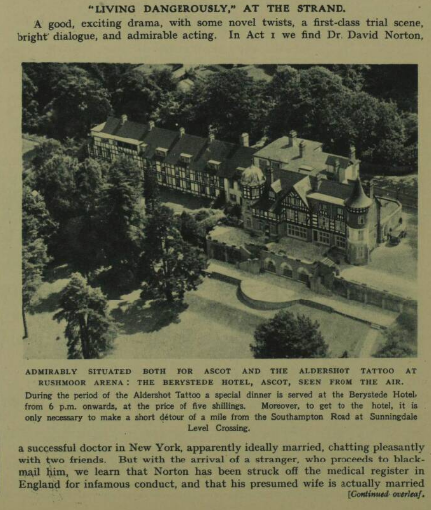 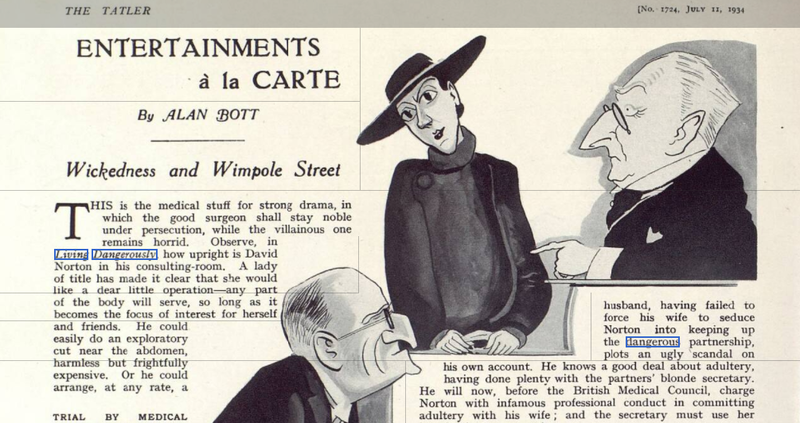 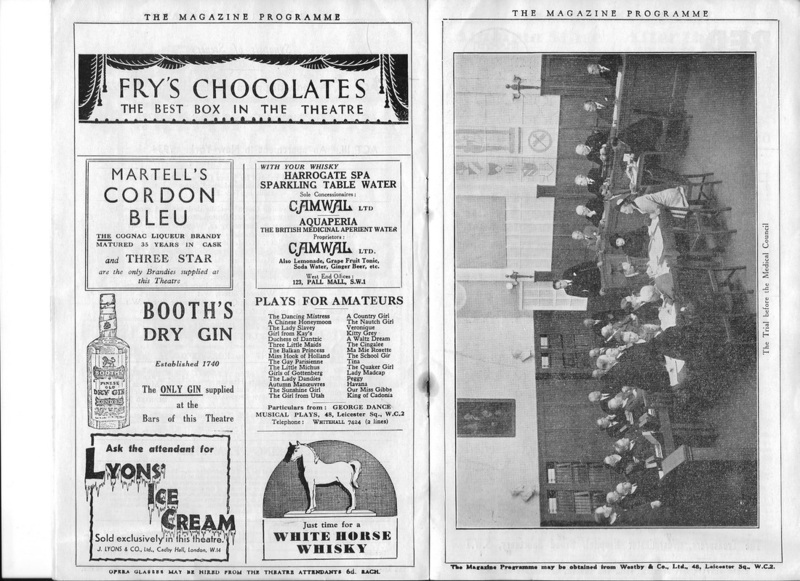 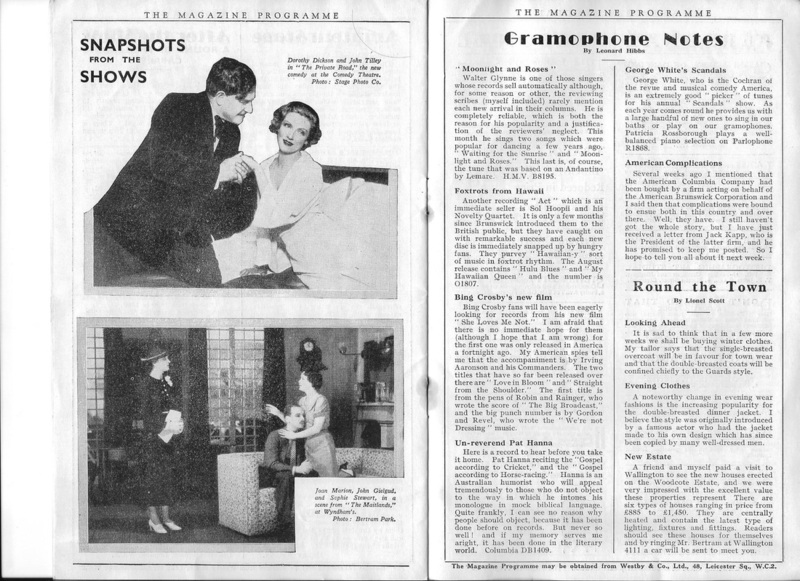 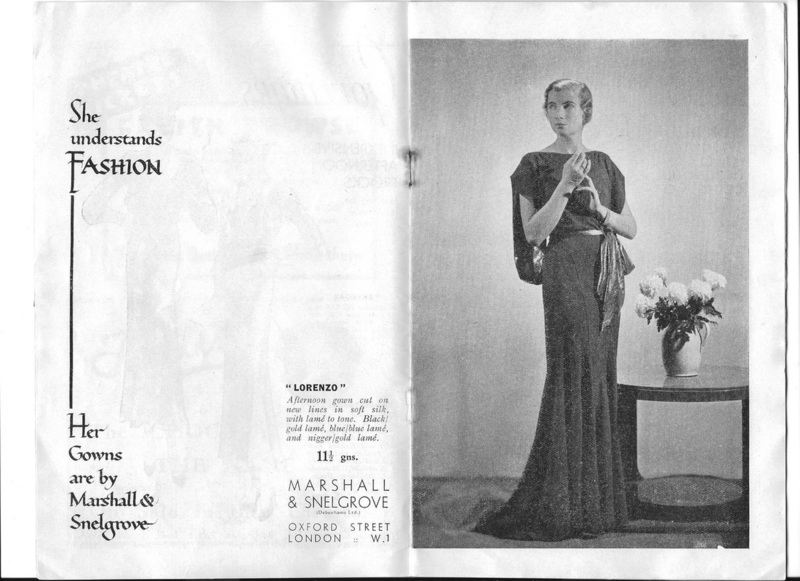 From the Tatler - Wednesday 11 July 1934. 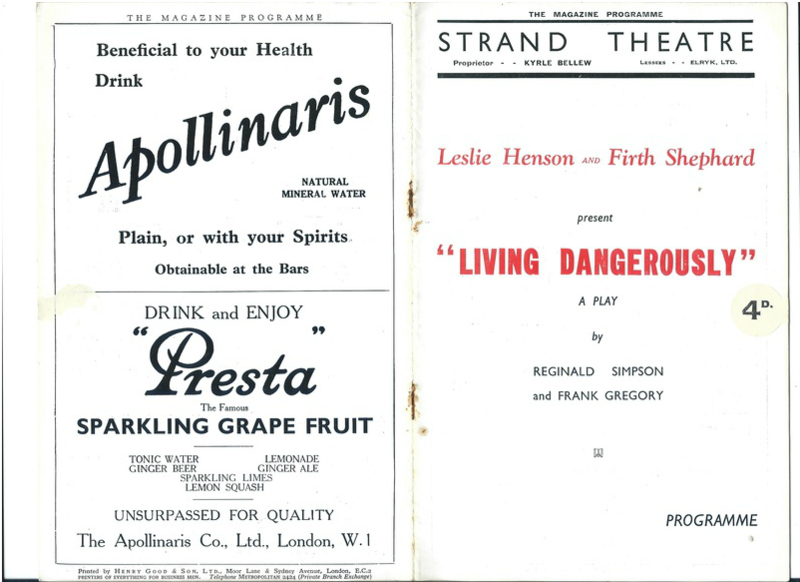 Programme from "Living Dangerously" at the Strand Theatre, London, in 1934. 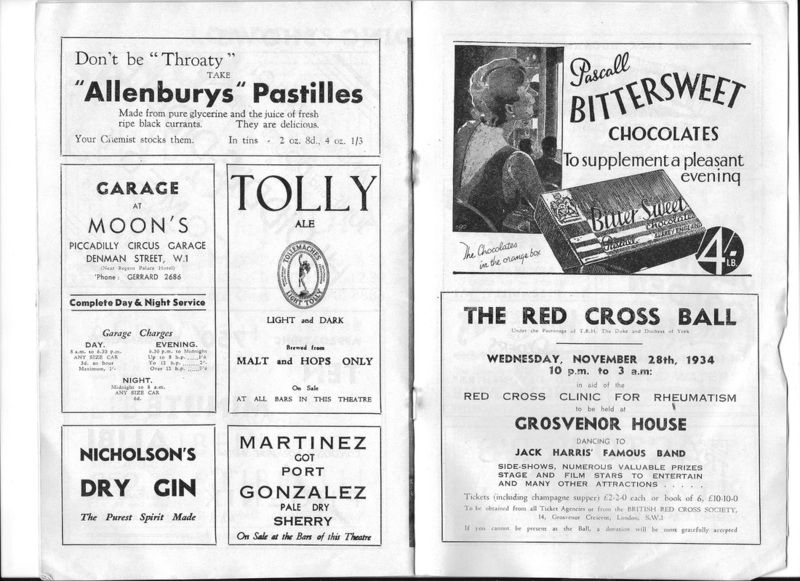 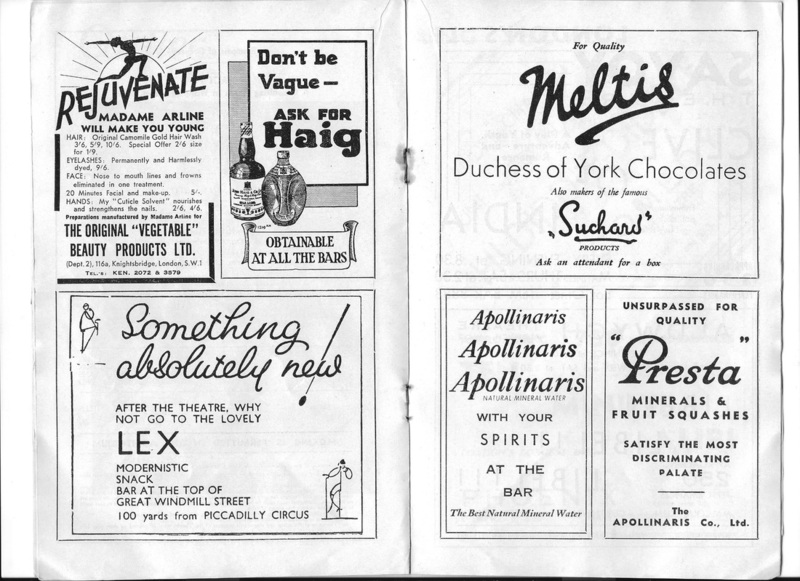 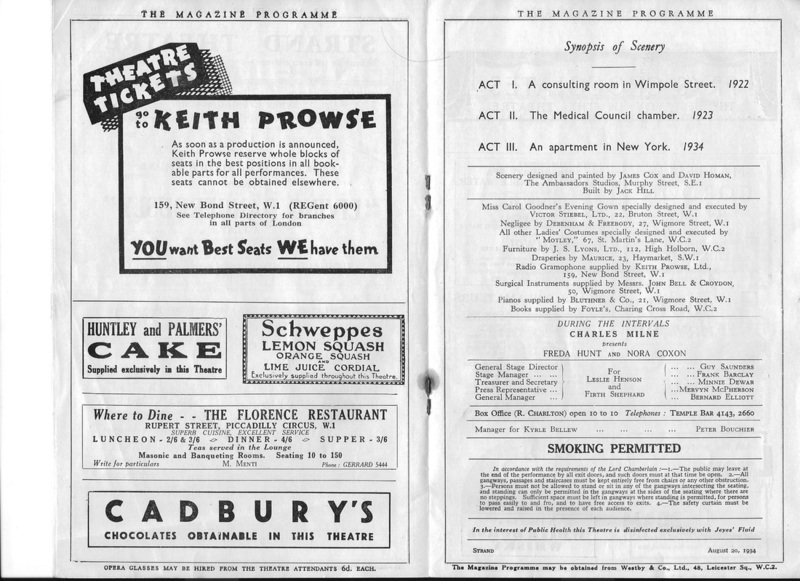 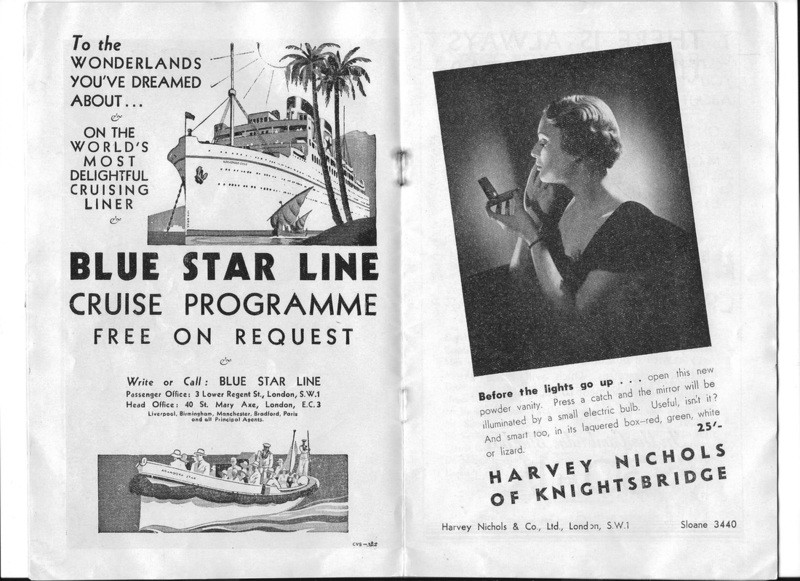 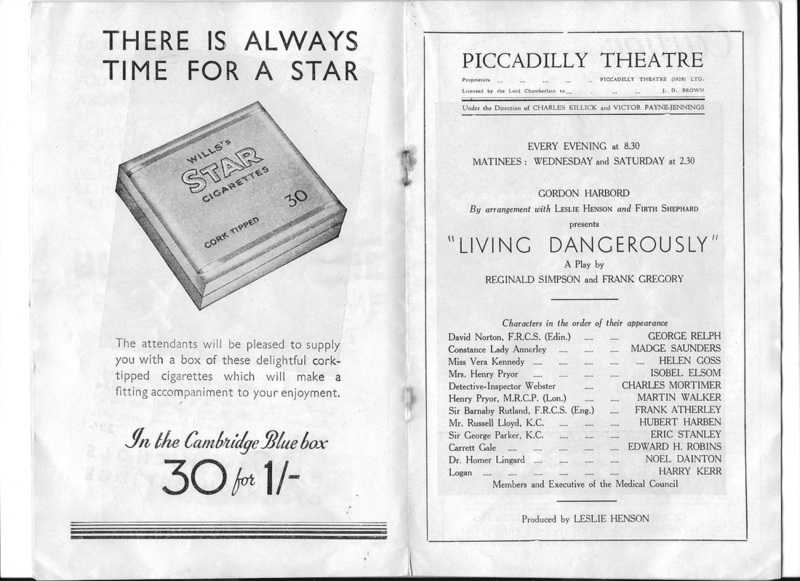 Programme from "Living Dangerously" at the Piccadilly Theatre, London, in 1934.